We’ve had a few highlights this year and one was having the opportunity to work with a new client, Unique Sheet Metal LLC – A partnering company of Arden Engineering. Located in Pawtucket, Rhode Island, Unique Metal is known for serving the New England sheet metal fabrication industry for 31 years. 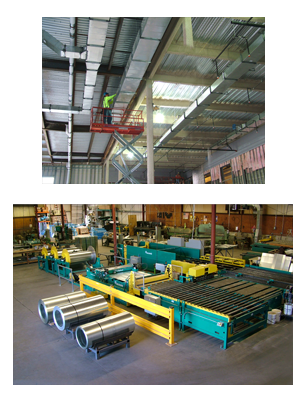 They also handle installation for several of their customers. 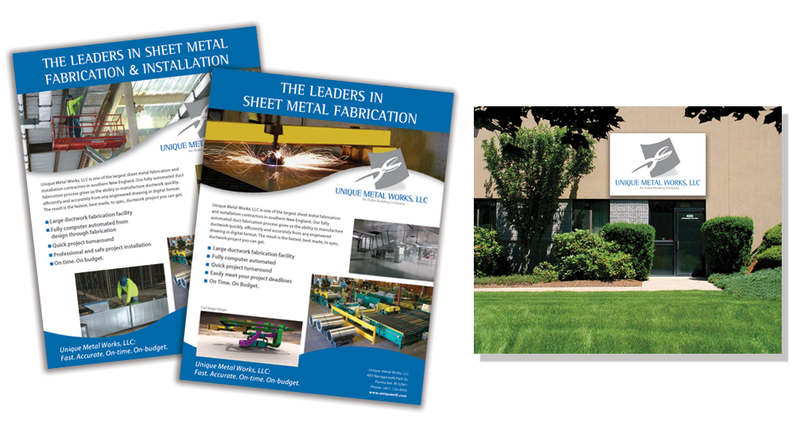 In response to the growing need within their market, they asked us to create a few sales sheets for their fabrication and installation divisions. In creating the sheets, we scheduled a few photoshoots. One at their factory in Pawtucket and the other on a job site in Massachusetts. The two sales sheets are creative yet descriptive of Unique’s specialty services.With photography that depicts their quality of work and expertise they can use these sheets as handouts to customers at industry shows, sales meetings and company mailings. In addition to the sheets, we also helped create a sign for the front of their building. It was truly a pleasure working with the folks at Unique Sheet Metal LLC and we look forward to the opportunity of working with them again in the near future!